Master Lau’s life has been dedicated to cultivating mind, body and spirit to the highest degree. He was born in mainland China and originally educated by Buddhist monks. As his English improved, Master Lau started to teach Wing Chun. He began with only a few students from the hospital, but his reputation rapidly spread. He was soon giving Kung Fu Demonstrations around the country, fuelling peoples’ interest in what was then a little known art. 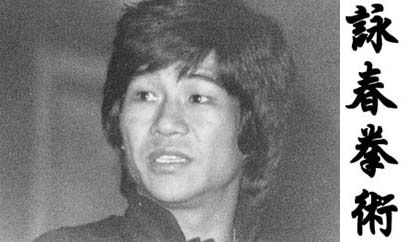 A 3000 strong audience reacted enthusiastically when Master Lau performed at a Bruce Lee Tribute Convention, which he organised with Dan Inosanto. Applications to join his school came by the sack load. Now Internationally recognised, Master Lau started to give lectures and demonstrations in America and throughout most of Europe. Media coverage soon followed.Master Simon Lau was recently requested, and highly recommended for the No.1 Position in the Discovery Channels hugely acclaimed, documentary ‘The Greatest Ever Weapon’. Pitted amongst some of the worlds most successful weapons throughout history, the program came to the conclusion that the basic essence of hand-to-hand combat, found in martial arts such as Wing Chun Kung Fu, utilises the mind, body and a fundamental scientific approach to close-up personal self defense. SkyOne also requested that Master Simon Lau take up the chief position as the ‘Grand Master’ of the reality TV show ‘Fight School’. He was selected to appear in the BBC Martial Arts Documentary ‘The Way of the Warrior’. He was also chosen to represent muscle power in ‘The Living Body’, a documentary on the human anatomy, made by ‘Gold Crest films’ for Channel 4. Master Lau gained this part after proving he had the fastest punch of the martial artists who auditioned. Following this impressive performance, he was asked by Gold Crest to show his skill in a television advert for St Ivel Gold Margarine. He appeared recently as the Grandmaster in the hit Sky television series Fight School. In September 2000, Master Lau was honoured to become a guest speaker at the Cambridge University Union, talking on the subject of human energy. Other speakers included that year were distinguished by literary and political figures such as Frederick Forsythe, Gore Vidal, Lord Hurd and Lord Brittan. In keeping with the warrior tradition, Master Lau has focused as much on being a healer as on a martial artist. He is a fully qualified practitioner of Qigong and Chinese Herbal Medicine, believing that physical and emotional health are essential for self development and inner awareness.